1. Is your vision and purpose supported by a responsive business model? One that can adapt to new opportunities and challenges, as they arise? Are you considering what level of organisational flexibility and readiness is needed for your social business to be effective? It’s worth thinking through some key scenarios of potential events – positive and negative – and how quickly your social business could adapt, whether to take advantage of the opportunity or respond to a change in circumstances. 2. What partnerships within your ecosystem are key to ensuring agility? Building relationships that you can tap into when needed can help you take advantage of opportunities, that are perhaps beyond your current expertise and capacity. Whether it be advice, resources, or co-developing solutions and services for opportunities where you can add greater value together, having a network of ready collaborators can be a real asset. Consider the whole range of potential partners – formal/informal, cross sector, suppliers, technology etc. 3. Are you building teams that are flexible, creative and responsive? It is always a challenge when starting up social businesses, to ensure the range of skills and experience is accessible when needed, but in an adaptable and affordable way. How your team works together and communicates is key to making this flexible structure work, in addition to ensuring empowered, innovative and resourceful teams. With many social enterprises, adopting the holocracy approach, it is important not to underestimate the importance of developing an enabling framework to support these empowered, autonomous teams, providing clarity of strategic direction, clear responsibilities and structured communication. 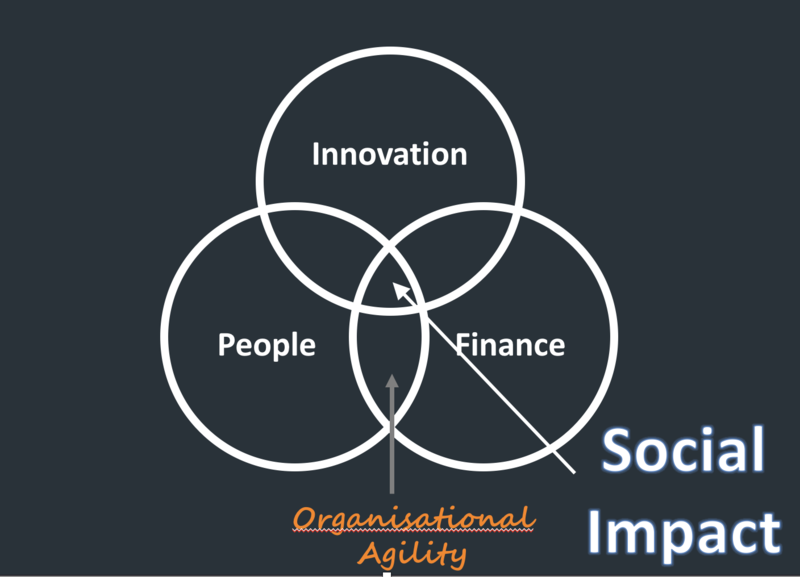 Our upcoming agility series shares our learnings from our work supporting global social enterprises and NGOs, inspired by Mickinsey’s 5 hallmarks of an agile organisation. If you are interested in receiving our mailings please register here.